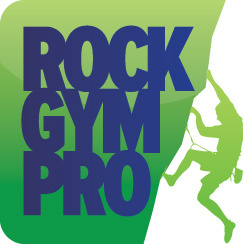 RGP Cloud is exactly what it sounds like - it's the Rock Gym Pro software accessed in the cloud. With RGP Cloud, your database and RGP information is securely hosted on a remote server that we maintain. So the only thing you need to access RGP Cloud is an internet connection and a lightweight Windows computer. The RGP Cloud is accessed via a "Thin Client" from a Windows computer, similar to Remote Desktop, which allows you to run your hardware (Printers, Cash Drawers, EMV Credit Card Processors, Cameras, etc.) just as you would with the installed version of the software. NOTE: We are only recommending Windows at this time. The "thin client" is a Windows application that provides additional functionality to enable hardware compatibility. Is there a cloud client that will run on a Mac? What types of internet speeds are needed? What does RGP Cloud cost? Multiple Location Facilities: The pricing below is per facility. Multiple location organizations would need one RGP Host per facility. Seats can be assigned to any or all hosts in a multilocation environment. * Important to note: If you are operating a multi-location environment in RGP, ALL facilities need to be either on RGP Cloud or the local version of RGP - you cannot use RGP Cloud in one facility and the local version in another. RGP Host: This is the remote computer that each station/user logs into with the RGP Cloud Thin Client; essentially the remote computer. Seat: Each workstation that accesses RGP Cloud needs a "seat". For example, if you have two computers at the front desk and a laptop you use at home, you would need THREE seats for your facility. Each seat would have a unique username/password. If you manage multiple facilities and you need to access more than one database, only ONE personal seat is needed. Smartwaiver Kiosks and iPad waiver stations do not require a seat. Note: While using RGP Cloud, a reliable internet connection is critical to achieving optimal performance. RGP Cloud Client: Windows-based computer to run the Thin Client connection. Windows 8 or later supported. If you do not plan on accessing any front desk peripheral hardware, such as a webcam or receipt printers, you can use an Apple Mac running a Windows emulator for the Thin Client. OpenEdge Credit Card Processing: If you are using the integrated OpenEdge processing, only the EMV credit card solution is supported with RGP Cloud. If you are an existing OpenEdge customer and using traditional swiped credit via XWEB/OpenEdge, you will need to update to EMV credit card processing. Standalone Credit Card Terminals: If you are a customer using a standalone credit card terminal for POS transactions, no change is required for RGP Cloud Standalone terminals are not integrated with RGP are not impacted by RGP Cloud. Quickbooks Integration: RGP Cloud integrates directly with Quickbooks Online AND the desktop version.